I had a lot of fun reading The Belles! It's a fantasy novel that's about a girl with the power of beauty in a society where that's the most precious commodity. Camellia Beauregard has grown up honing her abilities as a Belle and she's determined to be the queen's favorite. But once given the opportunity to live out her wildest dream, she realizes that there are powers and politics at play far beyond what she could have imagined and must decide where she will choose to stand. I really enjoyed immersing myself in the world of The Belles. Dhonielle did a really great job filling the novel with lush, vivid details pertaining to the food, the locales and the clothing. It really felt like I could 'see' it all and even so, I would still have wanted to 'see' things in person (though there is no way I could imagine living in such a crazy society either). I also enjoyed her take on magic, which was different from most magical power structures I encounter in my YA fantasies. And, of course, I enjoyed the compelling story, as Dhonielle navigates the twists and turns effortlessly while still maintaining a fairytale vibe in her narration and also manages to incite the reader into questioning their thoughts on beauty and power. While I wish I'd been a touch more personally invested in these characters to up the emotional ante a little bit for myself as I read, I still enjoyed this read a whole lot and would recommend checking it out. 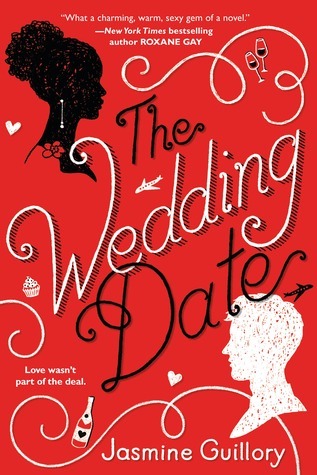 The Wedding Date is the second women's fiction novel I've read this year, a romantic comedy (of sorts) in novel form about a guy and girl who meet in a stalled elevator at a hotel. Alexa and Drew hit it off immediately, so much so that Drew spontaneously invites her to be his fake date at the wedding he's attending that weekend. Their relationship only progresses from there, until the two of them are forced to figure out where exactly they want this to go. Now, as with most books of this genre, it was a quick, enjoyable enough read. I liked the characters well enough, especially because we got a real look into their individual lives (their careers, their friendships) and that made them pop off the page a little bit more. I also enjoyed their banter and the fact that it was an interracial relationship where they didn't shy away from how difficult their differences can make it. Alas, it was just missing that certain quality that makes novels in this genre stand out to me, so it unfortunately won't be making my favorites shelf (and I'm predicting it'll be overall forgettable in the end). 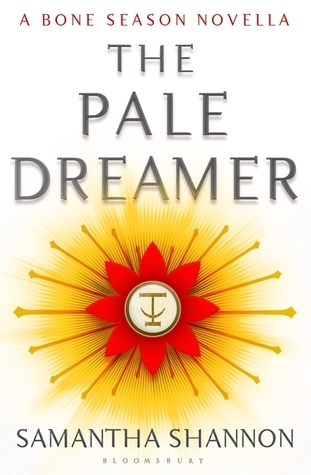 I've had The Pale Dreamer on my Kindle for well over a year now, but only finally decided to read it a couple of weeks ago. There's a part of me that regrets waiting so long to read something new set in Samantha Shannon's world, but there's another part of me that's glad I waited to read it so I'd have something to tide me over until the next novel installment in The Bone Season series. Anyway, this novella is a look into how Paige Mahoney became Jaxon Hall's mollisher, and it is a delight. I've missed this world and these characters so, so much! Even though it's been a very long time since I read the last novel, I felt right at home in this setting. It was nice to be reunited with familiar faces, and even cooler to discover just what Paige did to earn her spot as Jaxon's second. I'd definitely recommend that fans of the series check this one out!